Let's just call this month a very very cold month, I am currently wrapped up in about 4 layers of clothing and socks because winter is here. The thing I love the most about going somewhere when it is this cold is the clothes that I can wear. My go to outfit or the past few weeks has been my Boutique of Molly Beri Poncho*. 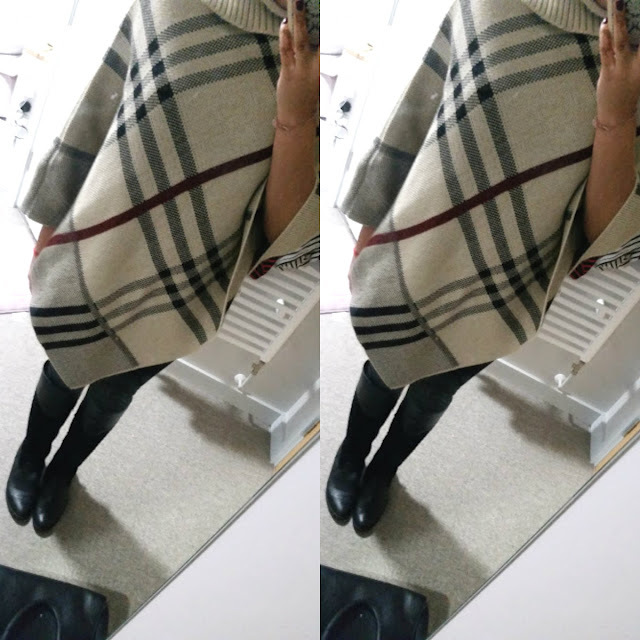 As soon as I saw the look of this poncho I fell in love, the beige colour is lovely and natural making it easier to pair with other clothes. 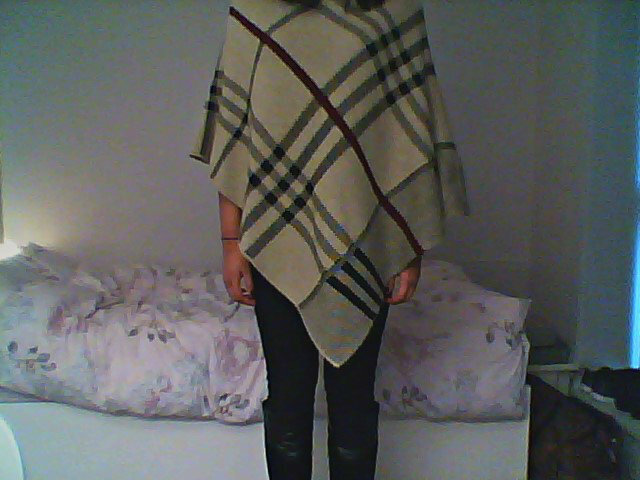 Then there is the gorgeous lovely tartan print that goes across all parts of the poncho. I particularly like the design of the poncho as it has a turtle neck, my FAVOURITE thing to wear this autumn/winter season. Why? 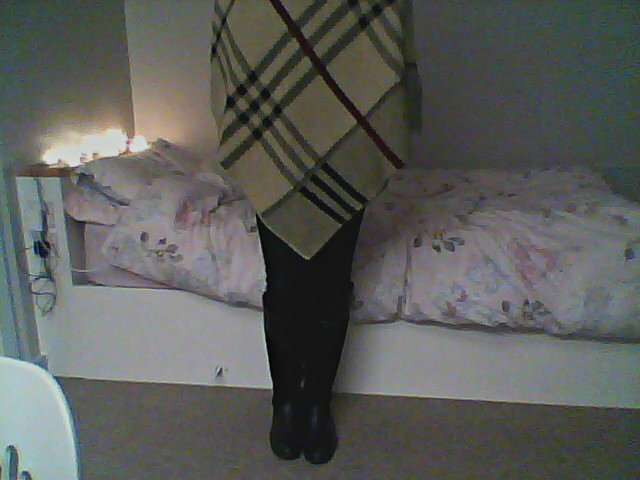 Because they look really stylish and keep you wrapped up. I paired the Beri Poncho with black leggings, black boots and a plain black tee underneath as I wanted to have all the attention on the poncho. It wasn't until the other day, when I wore it again, that a statement necklace looks great with it as well. Personally, I think that if I wear this poncho anymore it is going to start annoying everyone around me. You could say I am obsessed but call it putting my winter warmers to good use!